"If you've ever made or bought a lemonade that was just too sour but didn't want to waste it." Fill half of a tall glass with lemonade. Stir in 2 tablespoons frozen fruit punch concentrate. Pour in carbonated water until glass is full. The key to this lemonade is keeping the lemon pulp. Yum! Wow! This was awesome, I loved it! So yummy and so easy. 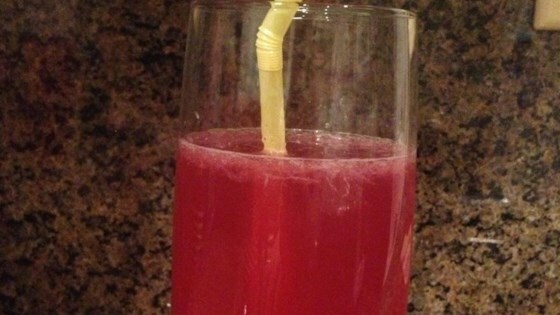 My 7 year old daughter says "it is the best drink I've ever made! ".